The first month of 2015 is almost over and for most of it I was in a state I like to call: the PCS (post christmas slouch). But I’m sure I’m not the only one who spent the majority of this miserable month curled up in bed watching ALL FIVE seasons of Pretty Little Liars (or insert favourite show here) on Netflix. I am also sure that I am not the only one who in their free periods at school didn’t work but in fact dreamt about being in bed with my computer and ice cream. So from the symptoms I have stated above – but trust me I could go on more – I need to be more productive within the months to follow; especially seeing as I have my final exams a mere 4 months away and also want to stay dedicated to those guys. Today I am going to share with you three simple tips to how I plan on being more productive in February and all the other 10 months of 2015. I can’t believe I’m saying that! Appreciate the task at hand: it’s no good doing lots at once because you’ll never finish any of it. Just focusing on one task is how I plan on getting more done, in more depth. Reduce life’s clutter: Recently my house was put on the market and we are looking to move to a slightly smaller house as us (the children) start to fly the nest. When we do move I am going to throw away all the clutter I don’t need and only keep what I really do. This will also mean that I won’t find random rubbish in my desk whilst attempting work. Use my time intentionally: a lot of the time when I do work I don’t plan precisely what I need to do, I hope that if I do this then, like the first tip, I can streamline my work and be more productive. 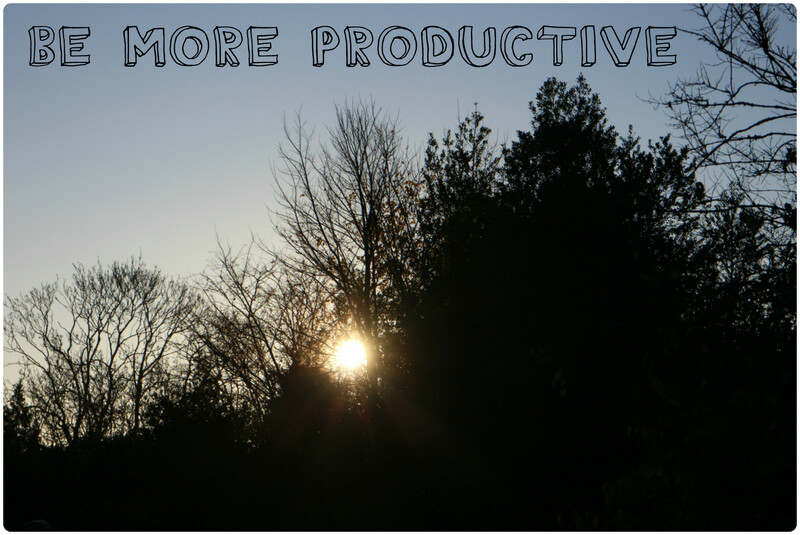 How are you going to become more productive this year? Being more productive is definitely something that I need to do this year. No more netflix days in bed! I really enjoyed reading this post, I like your writing style. 🙂 Sticky notes is what helps me be a little bit more productive. If I have lots stuck around my laptop it reminds me to do stuff in between the browsing of the internet, ha.